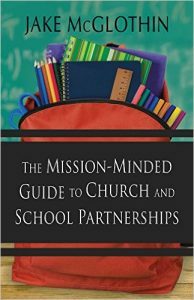 Jake McGlothin, author of The Mission-Minded Guide to Church and School Partnerships, explains how compelling messages that align your congregation’s vision to the task of forming a school partnership and simple recruitment ideas will harness the resources needed to serve children in your community. Creating and maintaining a great church-school partnership can be challenging. But there are resources in your congregation waiting to be harnessed, if you put out the right message and pray that the Holy Spirit will get your congregation moving. To focus mission and outreach efforts on children in poverty, church staff and key leaders must make a compelling message and cast and maintain a vision for what the congregation should do. Without providing your congregation with the theological and practical foundations of working with children at local schools, you cannot expect a significant response. Make efforts to connect the spiritual life of the congregation to community action and engagement. Ultimately, the partnership must become an important aspect of who your congregation is. It must be ingrained in the culture if you want it to succeed. For a church-school partnership to be successful, it is very important for conversations to occur during worship. Make every effort to put the partnership at the forefront of the church’s mission — during sermons, prayer time, inviting school administration to speak during worship, and announcements prior to worship. Whether you need 50 people or five, building relationships and talking to people one‐on‐one will always make you more successful as you seek volunteers. While having the pastor make a pulpit announcement is a very effective way to inspire the congregation, making sure you have a table or a place for people to gather who are interested in more information will create opportunities for discussions and questions to be answered in a timely fashion. Be clear about requirements, time commitments, and any other pertinent expectations or logistics. You should share all information that helps people make a decision about committing time, energy, and resources to a particular ministry. Don’t loosen your requirements and expectations just so more people will be involved. When you are creating your expectations, you should be thinking about the people you are serving, not those who are serving. Understanding motivations is very helpful in crafting your messages to individuals and groups. Using the example of a mentoring program for kids with disabilities, what are some of the reasons people would volunteer? Perhaps they have a dear friend who has a child with a disability. Perhaps they want to be a part of a community that supports children and families in these situations. Perhaps they are passionate about education and seek an opportunity to work with kids that really makes sense. Or perhaps they have just retired and need to do something that matters. When you understand why people get involved in a ministry or program, you’ll better shape the recruitment language. Invite the school principal to speak at morning services. Create a short video about the kids and their mentors, with permission, of course. Have a table outside the sanctuary where people can sign up and ask questions. Be there with the principal and your program leaders. Host a school partnership meal at the church where people can come to learn about the school and the ministries you hope to start there. Have clergy or another leader visit small groups and Sunday school classes to encourage folks to sign up to help. Create a Missions Sunday Fair that showcases all the different mission opportunities at the church. Try to create high‐volume, low‐commitment opportunities to do something for the school to get more members involved. Ultimately, the partnership must become an important aspect of who your congregation is. It must be ingrained in the culture if you want it to succeed. Otherwise it will be just one more ministry for a select few of your members. Focusing on a specific partnership allows your church an opportunity to dig deeper and be a part of something bigger. A sense of unity and impact can make your church members see and believe in the power of collective work. Providing compelling messages, aligning the congregation’s DNA to the task of school partnerships, and using simple, yet effective recruitment ideas will allow you to bring your congregation to the task of serving children in your community. And remember, you’ve done the work to get you to this point and God has blessed this work thus far. Believe in the abundance of God’s love and mercy and see where this partnership takes you! Adapted from The Mission-Minded Guide to Church-School Partnerships (Abingdon Press, 2017) by Jake McGlothin. Used by permission. Available at Cokesbury and Amazon. 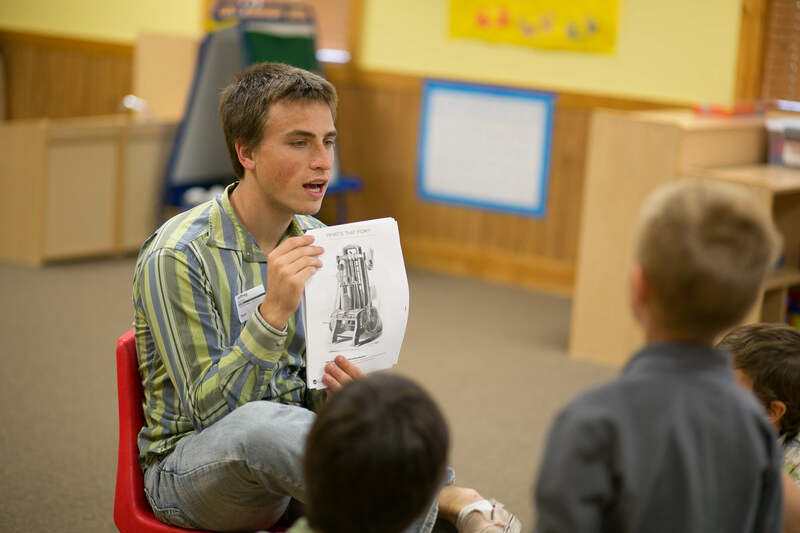 The Mutual Benefits of Church-School Partnerships by Jake McGlothin.